If you’re like me, you’ve watched the movie Legally Blonde close to a million times (and counting!) and can quote most of it by heart. There’s a scene in which Elle Woods hands over her resume to Emmett, her professor’s junior partner at Harvard law. As she walks away he sniffs the pink colored perfumed paper he says “Do you think she just woke up one day and said… “I’m going to go to law school? 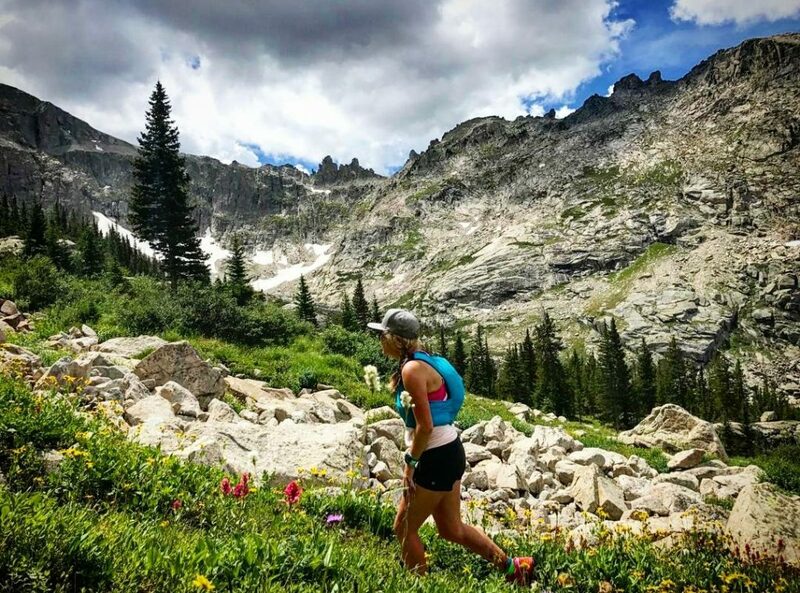 !”” This is how I feel about my intro to trail running and I’m assuming what most of you might be thinking, “Did she just wake up one day and decide to trail run? !” Well yes, yes I did! It’s crazy what can happen in a year. I started this journey with the intent to get myself healthy. Have you ever looked in the mirror and completely hated the person staring back at you, someone you no longer knew? Well, that’s where I was. 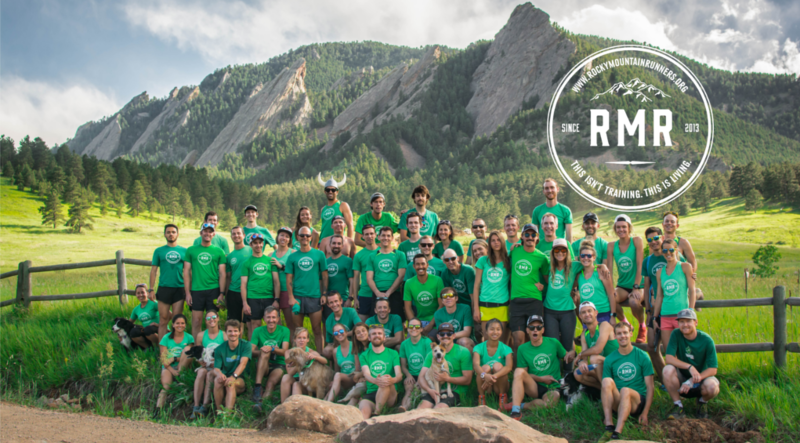 I had a disappointing running season last year, but had made new friends, joined a club and community that gave me new meaning to life. But, you never know when life is going to throw you a curve ball. Late last summer my dog was viciously murdered, my fiancé and I decided to part ways after 9 years, AND my work was closing its doors after I had been there for a little over 6 years! When it rains it truly pours!!! I decided to go back this time and get my revenge on my racing season. There was method to my madness! 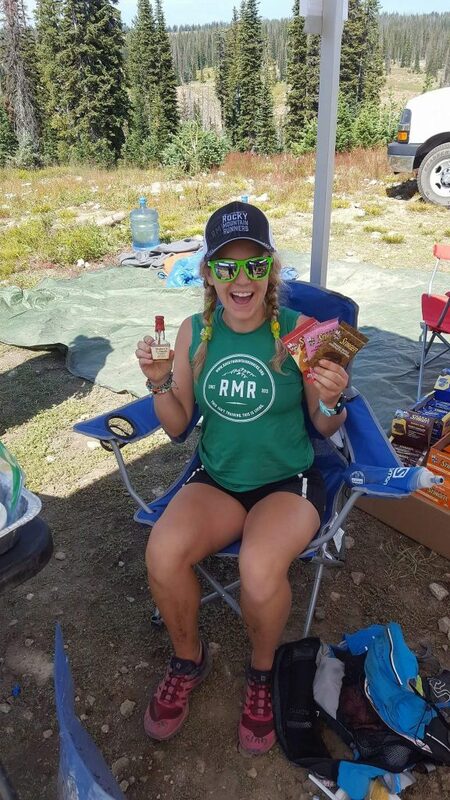 I signed up for my 100 miler first, then went back and signed up for the distances I didn’t finish at last year… so a 32 miler (out of 50) and a 50 miler (out of a 100). Coincidentally or not, each race corresponded to something meaningful in my life. Therefore each race had some sort of message or mantra that I boldly wrote on my arm to remind me what I was doing. Last year I was obsessed with cutoffs times, this year I decided to put away that part of my brain that was always worried about time, and use my determination to propel me. Which, mind you, is way easier said than done when you’re mid race!! 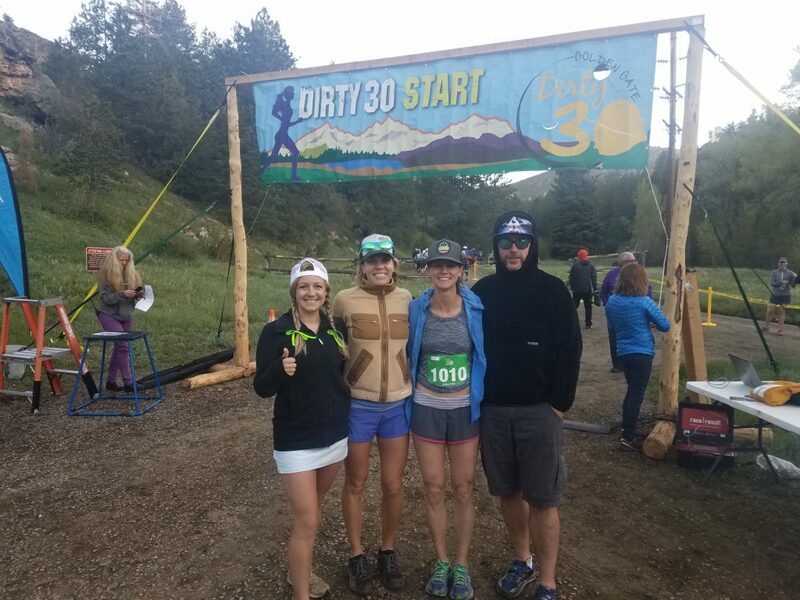 At Dirty Thirty, I wanted that finish because I had never actually done a 50K. Apparently I skipped that last season in favor for a 50 miler! Go figure! On a friend’s fridge was a quote to “remember who you wanted to be” I found this very fitting for me at the time, as I had lost sight of what I was trying to become, why I had even started this journey in the first place. This became my mantra. I also ran for my dog, whose death anniversary was the same weekend of the race. 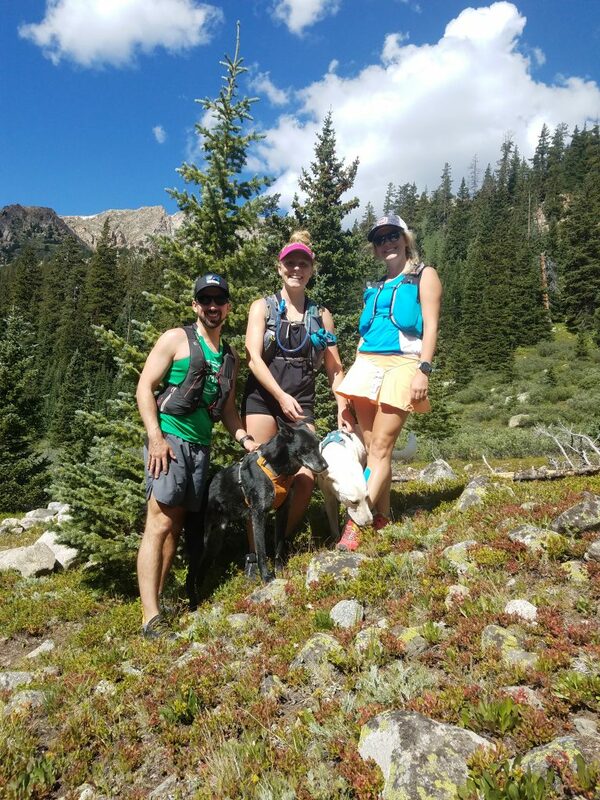 I know that sounds weird but I ran a disappointing Leadville Marathon last season because I had lost her that week, and I wanted some sort of vindication this go around. Also, if a six pound dog who was literally ripped apart by two big dogs can still be alive even for the briefest of ten minutes, I sure as hell can survive some pain. 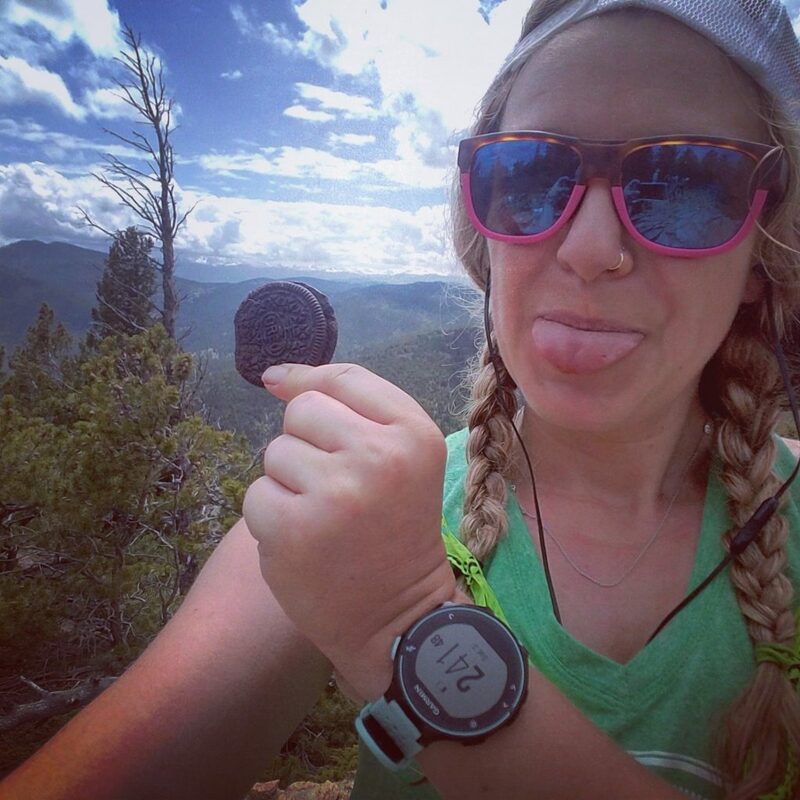 I ate an Oreo in her honor at the top of the last peak, screamed some profanities, shed my first tear of the race and finished my first official ultra! Next was Leadville Silver Rush 50M. Good gracious my oh my, don’t even get me started on Leadville!!! I love it, I hate it, it’s easy, it’s “runnable”… but it’s hard!!! I had it out for this place. Vendetta. We were at war and I was going to finish as redemption for the 100 last year. It was solely that motivation that got me to the finish. I went out feeling great and I made the turn around in what was a great time for my turtleness! But around mile 40 I lost my marbles… and my shot of whiskey I had been saving (which really works p.s.!) I walked it to the finish, but I learned some valuable lessons. Tape your feet and lube ‘em up, no one likes blisters! Saltine crackers at 10,000 feet are gross! Shoe insoles, duh! Tip from a pro, fill one of your bottles up with Coke-A-Cola… why didn’t I think of that?! Oh, and everybody hurts (another pro tip)! So, I hit a bit of a lull after the fifty miler. I found myself depressed, after race blues are a real thing I’m finding out! This was my first time driving to work in 8 years, usually I bike, which is extra fitness if you’re training for things! I had lost that and was honestly putting more miles on my car than my body. I was also stressed trying to balance work, dog sitting, running, relationships that I completely sucked at having, and trying to maintain some sort of a social life… that I broke said car. (Another life lesson learned: OIL, you need to put oil in your car. Oops!) I would have quit the 100 miler, it was counting down quickly to race time. But someone so graciously made a post about my adventures and I knew I couldn’t quit ( p.s. thank you for that!) I knew I had to keep running, but it was so darn hard to find the motivation or drive. I was thankful for everyone’s support, but I also wasn’t taking their advice for running strategies. “You need to run 30 miles back to back!” “You need to do speedwork!” “You need to run A LOT more than you are now!” Woof, I liked my bed and wallowing in self-pity more. Truthfully my work schedule didn’t allow me to run back to back without going to work like a complete zombie, and I’m sure I had already stressed them out enough with my race schedule and crying over my life bouts! It took a couple weeks but I got moving again, thanks to friends getting me up and out. I made the turn around in my brain and the last four weeks I got the job done. And I’m so glad I got out on those last few big runs, some of my best memories of summer! 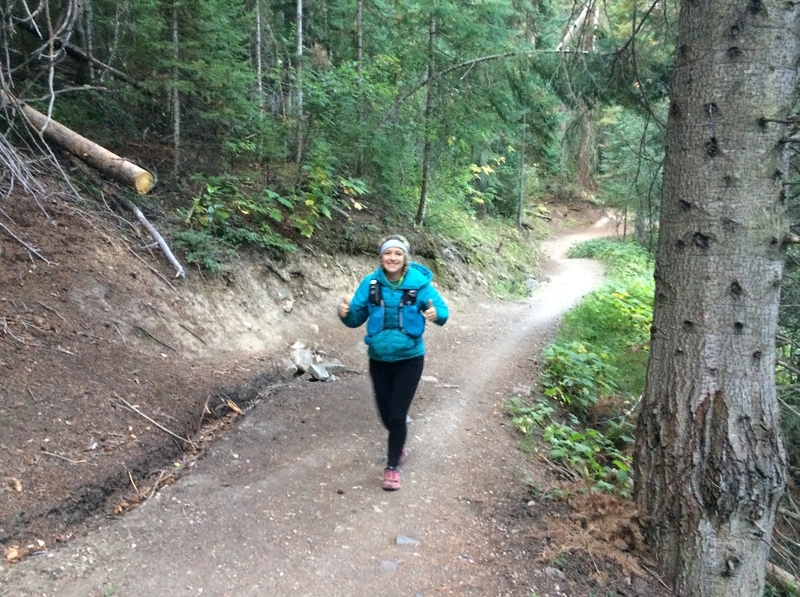 I went in to Run Rabbit Run 100 comparing myself to last year. I felt like last time I had run more and was lighter and leaner! However, this year I had run much longer quality distance runs, and I’d like to think weighing more meant I had more muscle, I wasn’t sure which version was better! I’m also not good with the whole planning out your race or pace chart thing… aka spreadsheets. Like I said, I get so consumed with the cutoff times that it can royally mind screw me. So, I never really looked at them or had them memorized. I said: Screw it!!!! You’ve done everything you could have done, you’re as fit as can be, and you’ve done the work, just know the basics and keep moving! Obviously my crew had the info and could figure out where we needed to be and when. But I didn’t want to know and I told them to lie to me about it, and everything else! Tell me I look great, even though I’m 99% sure I didn’t for 99% of that race! There’s a lot that happens in a 100 miles. It’s hard to describe in words even. I feel like I blacked out for most of it. 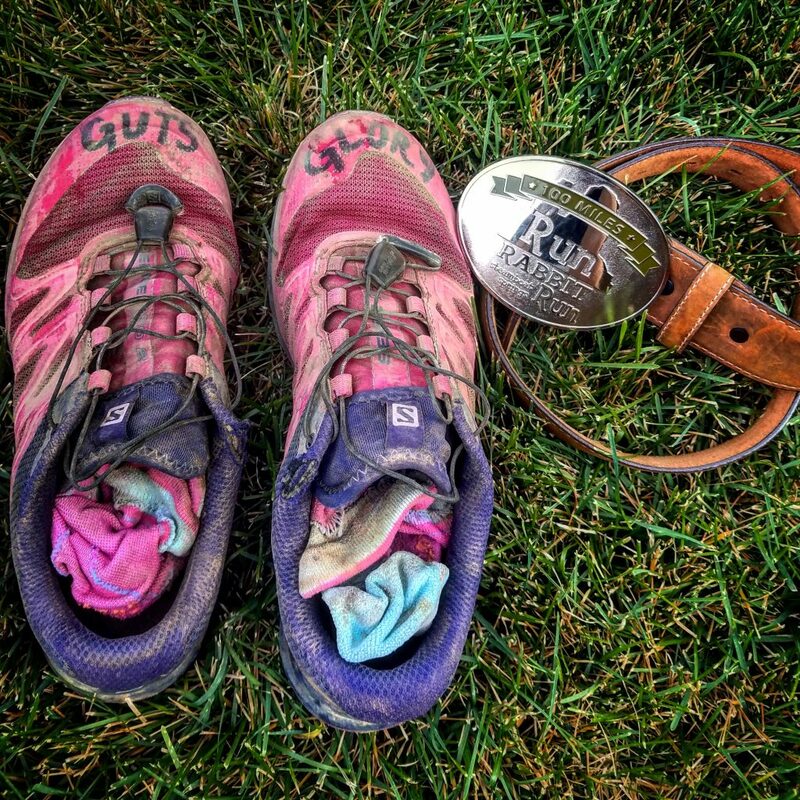 I can tell you that it’s really, really, REALLY far and there comes a point where even another darn mile seems like eternity… “another three miles to the next aid station?! but that’s so far!! !” I don’t think our brains can fully fathom that distance, even though I’ve done it, I can’t explain how far it is. You also go into this awful self-loathing period of time, no one tells you about it, or when it will strike or how long it will take for you to work yourself out of it. It can happen repeatedly too! (Joy!) It is literally the epitome of darkness. I won’t even say what I told myself for hours upon end in those moments, because no one should say those things to another. And that’s why my motto or mantra for the race was to “Have courage, and be kind and all will be well” It’s a Cinderella quote, judge all you want!!! But it’s in these dark spaces of spaces to find the courage and strength and to be kind to yourself and to others around you that keeps you going. Also, whiskey at mile 65 and 82, messages from friends and pancakes help. 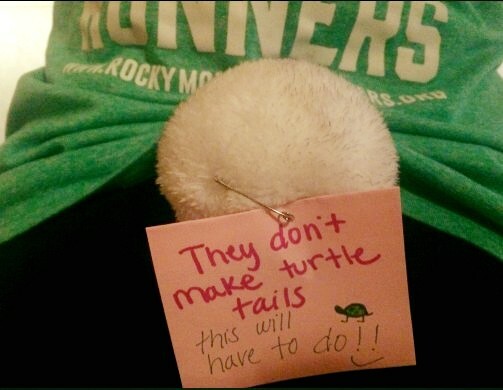 I left my crew a note that they read after I had already started the race. I thanked them all for taking the time to come and help me and how much it mean to me to have them there. I said how I knew I wasn’t the fastest, fittest, strongest person out there but I KNEW I could do it, and needed them to believe in me too. I said how I wasn’t doing this to “prove” I could run a 100 miles, which is awesome and all. But more so I wanted to prove that it all had been worth it. All the loss, the pain, the staying up at night not knowing what the hell I was doing with my life at 30 years old! I wanted to show myself I could do it. That all the hard work mentally, emotionally, physically had paid off. That I was strong and was determined to show what I could do! Although it helped I was physically capable to do such a thing, I probably could have trained harder upon closer look, and it’s most likely recommend to do so. But at the end of the day, I am a firm believer that you can do anything you put your mind to. Yeah, that cheesy life quote we’ve all heard before! It’s the truth! Yeah it takes works, sometimes lots of work. With determination anything is possible. And that’s why I finished my races this year. I am incredibly proud, most days it still hasn’t sunk in even! I’m so glad I’ve overcome what I have. I am constantly learning and as always am never perfect!! Now that the dust has settled, I’m feeling more like the person I’ve longed to become! Some call us crazy for doing what we do. And it truthfully is! I think that’s what we like about it. To see what your body can do and overcome is truly one of the most amazing experiences I’ll never forget, even if it hurt. It’s empowering what your mind can do, from the depths of the dark to the moments of joy and peace. 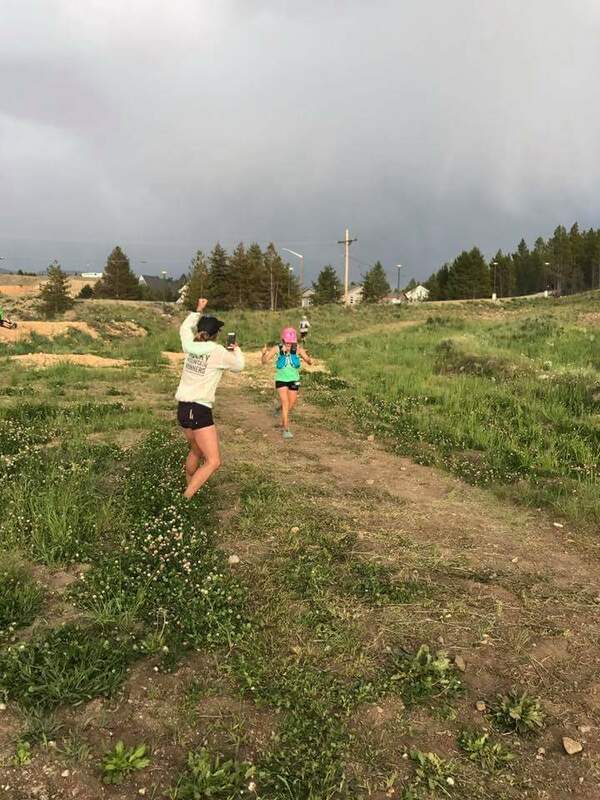 It’s this great community of runners and friends, who build each other up, even when you fail or falter, and is always there for you! I’m not sure if you’ve looked around you but Colorado is a pretty rad place and being able to explore miles of untapped beauty on your own two feet is another thing you can’t describe till you’re in it! SO call me crazy, I don’t “love” to run but I do love what it’s brought me. Determination, discipline, adventure, patience, slowly but surely confidence and the strength to ask for help when I need it. There’s also the friends, new places, and new lease on life that I have… that maybe even one day I’ll make my very own turtle spreadsheet.